Here are my predictions for this year’s Golden Globes, due to be awarded on Sunday January 6th 2019. Have a go yourself or challenge your friends with our PDF ballot sheet where you can pick your own choices for who will take home a trophy on the night. P. “Black Panther” – As it’s the only one I’ve seen it’s the one I can pick as a favorite plus I did really enjoy it very much. “Crazy Rich Asians” – My review of the movie is coming soon but I quite enjoyed it as a fun romantic comedy. 1. “The Favourite” – Seems most likely to win (avoiding the obvious joke here). “Mary Poppins Returns” – My review is coming soon, again it’s a film I enjoyed, even though I feel it doesn’t have the same magic as the enduring predecessor. 2P. Emily Blunt (“Mary Poppins Returns”) – My review of the movie is coming soon but I think ‘A Quiet Place‘ may attract a few extra votes in Emily Blunt’s direction. P. Lin-Manuel Miranda (“Mary Poppins Returns”) – My review of the movie is coming soon but I’m a big fan of Lin-Manuel Miranda, who isn’t? 1P. Alex Borstein (“The Marvelous Mrs. Maisel”) – This is fantastic to see Borstein nominated, her increased role in S2 is superb. 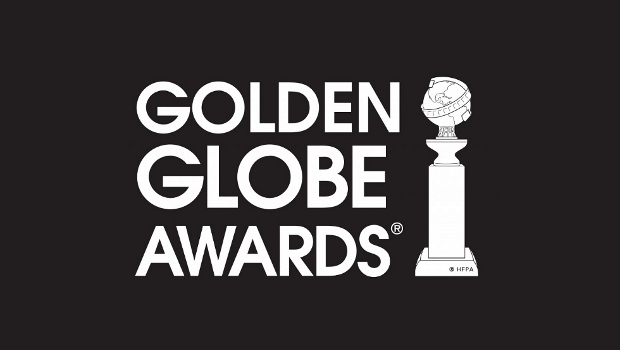 NOTE: This post is about the Golden Globes that will be awarded on Sunday the 6th of January 2019 for which the nominees were announced in late 2018. Download our 2019 Golden Globes Ballot PDF here! Or as images by clicking on the thumbnails! The main start to the big awards season and what I consider to be my warm-up at predicting awards winners is the Hollywood Foreign Press Association’s Golden Globe Awards, on Sunday January 6th. 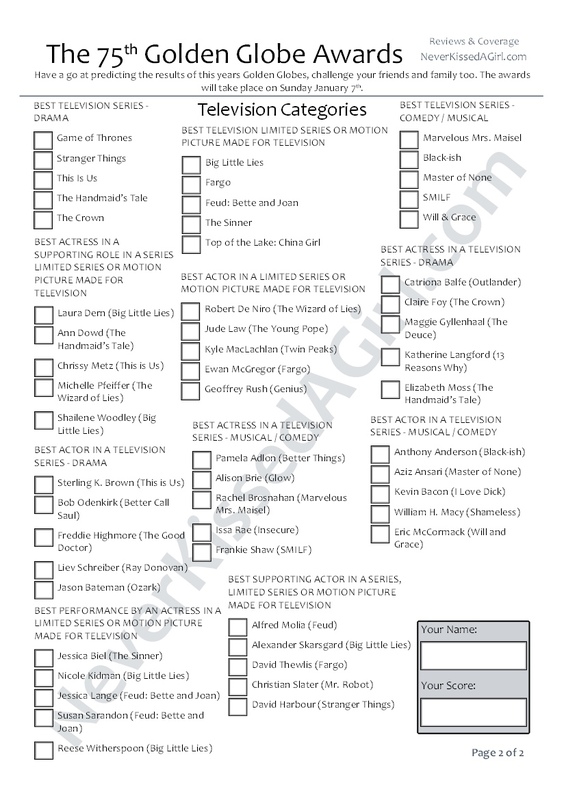 Join in with your friends and family using our 2019 Golden Globes Ballot you can print out and fill in! 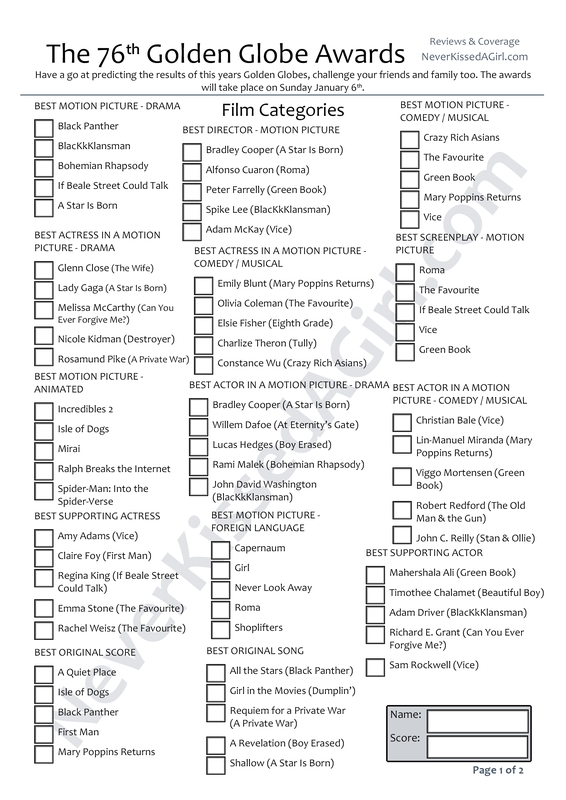 I’ve not yet seen very many of these nominees at all, so my predictions will be based more on what I’ve heard than the very little I’ve seen, which may increase a tiny bit in the weeks leading up to bigger Awards such as the BAFTAs and Oscars. Have a go yourself and please comment below what your predictions are. I’ve will be using my normal scoring system, 1. to indicate my first choice of what I think will win, 2. to show what I think could beat my first choice, and usually I put a P. for my personal choice of what I think should win. This can later be scored as 2pts for a correct first choice win and 1pt for a correct 2nd choice, no points are given for personal preferences winning as that’s more out of interest and self-expression but really you can use whatever scoring system you like!